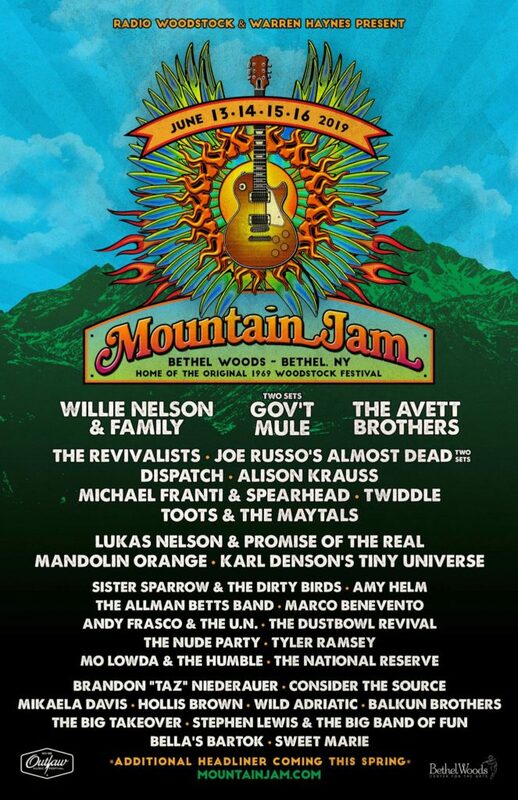 The lineup for the 2019 Mountain Jam is out! The 2019 Mountain Jam will be located at the legendary Woodstock grounds at Bethel Woods in Bethel, NY during June 13 – 16. Headliners include Willie Nelson & Family, Gov’t Mule (2 sets), The Avett Brothers, and some massive secondary headliners like, The Revivalists, JRAD, Dispatch, Alison Krauss, Michael Franti & Spearhead, & more! An additional headliner will be added in the spring!